1 Al Pacino, Best Actor of 1992 for "Scent of a Woman"
2 Emma Thompson, Best Actress of 1992 for "Howards End"
3 Julia Roberts, Best Actress of 2000 for "Erin Brockovich"
4 Philip Seymour Hoffman, Best Actor of 2005 for "Capote"
5 Helen Mirren, Best Actress of 2006 for "The Queen"
6 Heath Ledger, Best Supporting Actor of 2008 for "The Dark Knight"
7 Jeff Bridges, Best Actor of 2009 for "Crazy Heart"
8 Christoph Waltz, Best Supporting Actor of 2009 for "Inglorious Basterds"
9 Colin Firth, Best Actor of 2010 for "The King’s Speech"
10 Christopher Plummer, Best Supporting Actor of 2011 for "Beginners"
Al Pacino, Best Actor of 1992 for "Scent of a Woman"
Who could have won this award in the year 1992 if not him? Probably nobody as he was the one and only rightful owner of the Best Actor award for the movie “Scent of a Woman”. He played the role of a blind guy in the film and even he could see that the award was coming to Al Pacino. He suffered a total of six humiliating losses in the past 20 years before he could finally win an Oscar. He was given standing ovation when he won the award towards the end of the ceremony. Emma Thompson, Best Actress of 1992 for "Howards End"
1992 is probably the worst year ever for considering women’s roles in movies. In that year, the Academy even found it difficult to fill the category. But as a savings grace, Emma Thompson was there who portrayed the role of the heroine Margaret Schlegel in “Howards End” and was very convincing in it. She claimed most of the pre-Oscar prizes. It was no surprise that Emma would win the Oscar that year though she herself tried to act shocked after hearing her name as the winner. Julia Roberts, Best Actress of 2000 for "Erin Brockovich"
Julia Roberts was nominated twice before 2000 but many people took them as flukes. However, nobody could say anything when she was nominated for the 2000 movie “Erin Brockovich”. As soon as the movie was released, it earned her rave reviews. She was instantly compared to award winning performance of Sally Field in “Norma Rae” released more than 20 years back. Roberts won many awards for this movie and even this movie was nominated in other categories in various award shows. And at last she won the Oscar for the Best Actress for this movie. Though she was contending with great actress like Joan Allen, Ellen Burstyn and Laura Linney, everybody knew Roberts is the only one who deserved to win and she did as well. 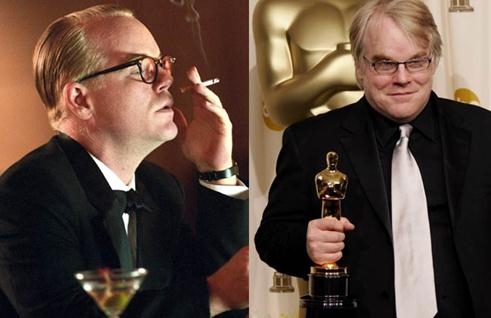 Philip Seymour Hoffman, Best Actor of 2005 for "Capote"
Philip Seymour was the clear winner of this year no doubt for playing the role of a flashy New York Socialite although he is not a flashy person himself. He has already won several awards before winning Oscars for his role in “Capote”. When his name was announced, nobody was surprised but was rather bored, since he had already given so many acceptance speeches that year. 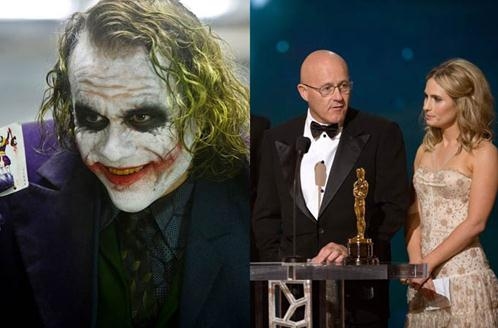 He was contending with Heath Ledger and Joaquin Phoenix mainly for this award. 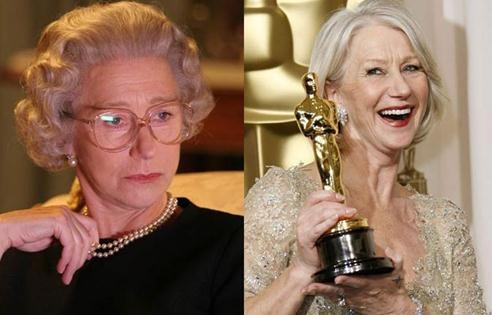 Helen Mirren, Best Actress of 2006 for "The Queen"
Helen was nominated twice for Oscars before 2006 but she did not win any. However, when she portrayed the role of Queen Elizabeth II in “The Queen”, she was instantly crowned the queen of all awards for that year. Before winning the Oscars she already won several critics and popular choice awards for her role. Winning at the Oscars night was no surprise for her or anybody else. Heath Ledger, Best Supporting Actor of 2008 for "The Dark Knight"
Heath Ledger’s portrayal of the Joker in “The Dark Knight” is considered as the most memorable bad guy of all time. He rightfully won the supporting actor’s award as there was no strong competition against him. However, he could not remain present in the ceremony due to his untimely demise. His family members took the award. Jeff Bridges, Best Actor of 2009 for "Crazy Heart"
Jeff Bridges was nominated four times before 2009 but he did not win any Oscars. However, when he acted in “Crazy Heart” as Bad Blake, it was termed as the performance of the lifetime. He won awards in almost every award function. Thus, it became quite clear that he is the only one fit to win the Oscars as well. He did win the award and received a standing ovation. This is sure one of Oscar’s biggest landslides. 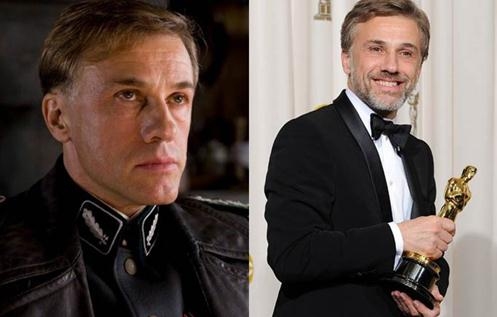 Christoph Waltz, Best Supporting Actor of 2009 for "Inglorious Basterds"
Nobody knew much about Christoph Waltz, a European actor, before the release of “Inglorious Basterds” in 2009. He was seen in a role of a sadistic Nazi in the movie. The role that he played in the movie let him win several awards. The leading actor Brad Pitt and the writer-director Quentin Tarantion got noticed for the movie but all the attention was going to only Christop’s way. On the Oscars night, even his fellow contenders knew that he would be declared the winner. He literally waltzed to the dais to collect the award. 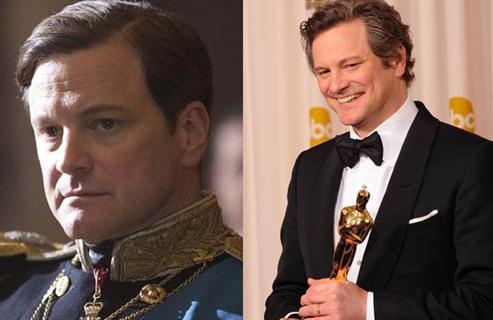 Colin Firth, Best Actor of 2010 for "The King’s Speech"
Colin returned home most of the time empty handed in 2009 when he was contending against Jeff Bridges for the top thespian title. But only a year later, he came back to take his revenge. He won in almost all of the award ceremonies for performing the role of King George VI of Britain in “The King’s Speech”. It would not be wrong to say that the role was tailor made for Oscar win and he won the award rightfully. He played a real man, who had to conquer a physical impediment and win against greater odds. 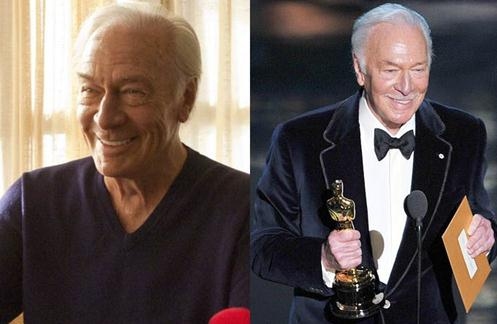 Christopher Plummer, Best Supporting Actor of 2011 for "Beginners"
Christopher Plummer was first nominated for Oscars in 2009 for “The Last Station” but he did not win the same. Critics took notice of him and he was again nominated in 2011 for portraying the role of an elderly man who is a gay in “Beginners”. But this time nobody could stop him from winning the Oscars. His only competition was Max von Sydow for "Extremely Loud and Incredibly Close” at this time. The competition between the two was close enough.